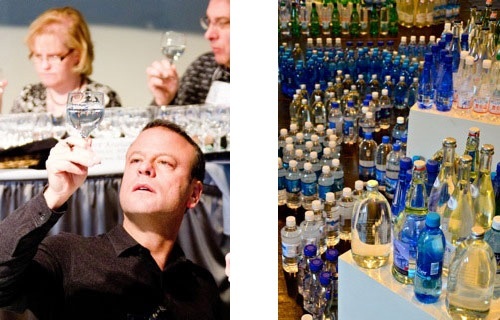 Every year more than 120 sparkling, bottled and municipal waters compete in the largest and longest running water tasting in the world, held in the historic spa town of Berkeley Springs, West Virginia. The entries are judged by ten journalists and food critics. 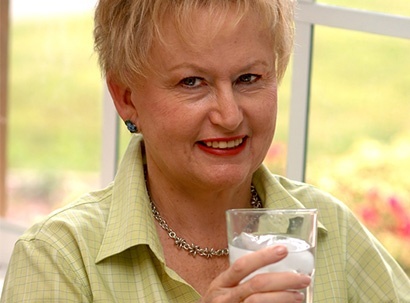 The contest is billed as the Academy Awards of water-tasting. Judges based their rankings on taste, odor, mouth feel, and aftertaste. This year, Eldorado Springs won the coveted Gold Medal for Best Municipal Water in the U.S. And Second Best in the World! 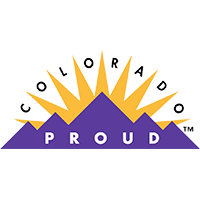 While only Eldorado Springs’ 600 or so residents are able to enjoy this water natively, Eldorado Natural Spring Water is proud to share this award-winning, naturally-tasty artesian spring water with the rest of the world. 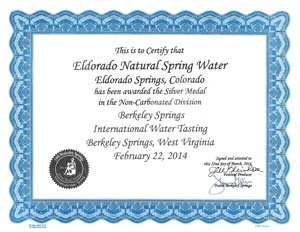 2014: Eldorado wins silver medal for the third time in the 2014 International Berkeley Springs Water Tasting. 2013: As the number of water company entries increases at the 2013 International Berkeley Springs Water Tasting, Eldorado maintains it's award winning status. 2010: Again, in 2010 Eldorado brings home silver metal in the non carbonated division from Berkeley Springs International Water Tasting. 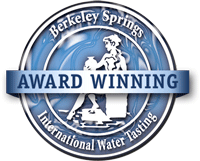 2008: This honor was repeated during the 18th Annual Berkeley Springs International Water Tasting in 2008 when Eldorado Natural Spring Water took 2nd place in the non-carbonated bottled water category! 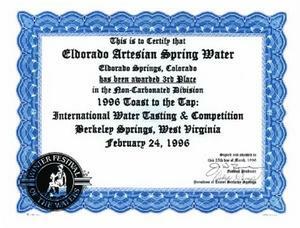 1996: During the annual water tasting at the 1996 Festival of the Water in Berkeley Springs, our Eldorado Natural Spring Water was judged the best tasting water in North America and third best in the world.